Discover the "Holy Grail" of bodybuilding and athletic performance enhancement: maximizing lean gains and fat loss while enhancing recovery and increasing strength, endurance, and energy. Purple Wrath was created to be the most complete EAA/BCAA product on the market. 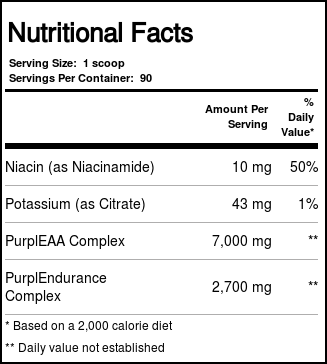 Recommended Use: Initial (first serving) instructions: To assess your individual tolerance to the ergogenic matrix, combine 1/2 scoop of Purple Wraath with 4 oz of water and consume it before, during and/or after your workout. Shake well before drinking. 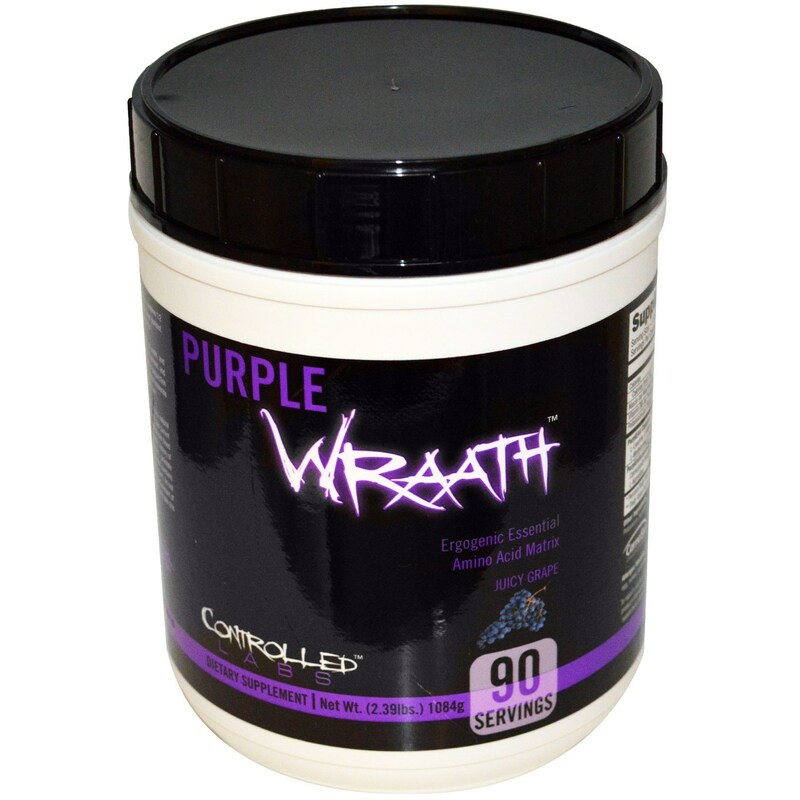 Directions for usage: Combine 1-2 scoops of Purple Wraath with 6-14 oz water and consume it pre-workout or over and extended period of time (pre-workout, during your workout and post-workout). Shake well before drinking. 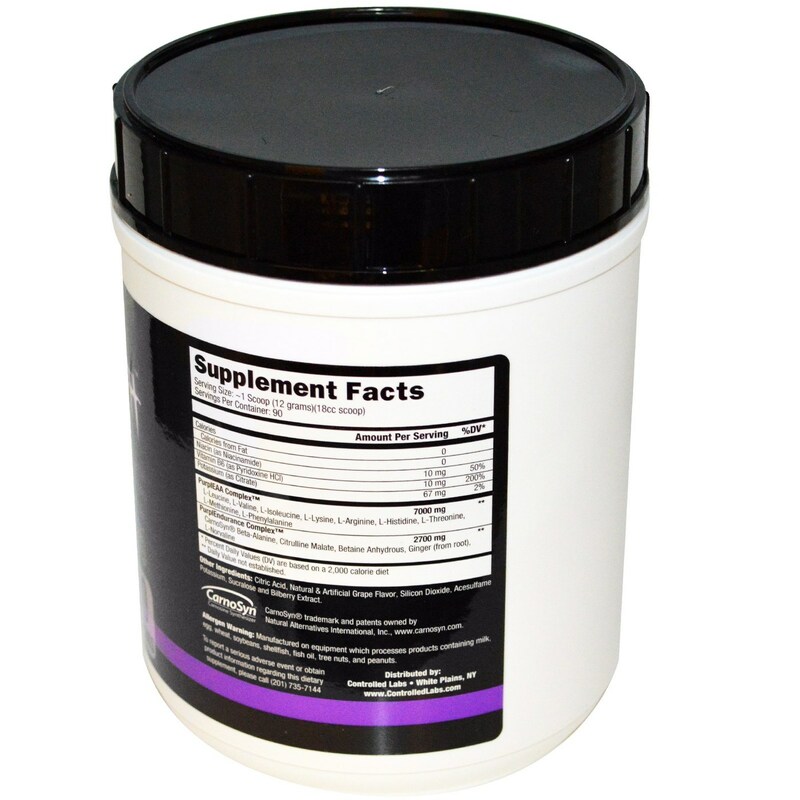 For best results, Purple Wraath should be used in conjunction with other Controlled Labs products, with at least 1-2 gal of water per day, and a high protein/moderate carbohydrate diet.